I have purchased VH Steamers several times for me to try, but it has gone to my youngest each and every time. On the weekends, he has suckered me into giving it to him and he LOVES the 3 he has tried. So far, Thai Chicken and Shrimp, Chicken Teriyaki and Honey Sesame Chicken have been great hits. He also liked the Kung Pao Chicken but found it too much on the spicy side for his liking so her didn’t finish it. Over all though, they are a great hit! I like the Teriyaki Stir Fry sauce! I voted for you on Picket Fence and did my daily tweet as well but it will not work via Rafflecopter. I tried several times so I will put it here for now and hopefully tomorrow it will be working. Apparently it was just slow-it worked now-please disregard the above message. Thanks!! I love sweet and sour sauce! like to try General Tao stir fry sauce. just love their sauces, so tasty and easy to use. Shanghai Ginger Beef looks wonderful. Love the Thai Market Sweet Thai Chili Sauce. Red Curry Cooking Sauce sounds amazing! I love the sweet and sour stir fry sauce. 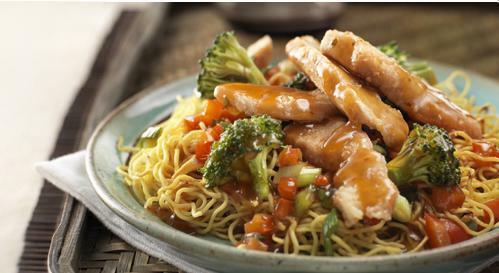 I LOVE the chicken teriyaki steamer! Yummy. I love VH sauces. It would be GREAT to win. Thank you for this opportunity. Sweet and sour stir fry sauce is fav! My favorite VH Steamer is The Honey Sesame Chicken. It is very quick and easy and tastes great. My favorite sauce is sweet n sour stir fry sauce. I have always been a fan of the honey garlic. Orange Ginger Stir Fry Sauce! Year ” the year of the Dragon”. A lot stronger than the year of the rabbit lol. Food looks good Can’t wait to try some steamers this weekend for date night! Plum sauce and Sweet and sour sauce. I love General Tao Sauce, it is so good! My favourite VH sauce is the Plum Sauce! I like the Indian Market Butter Chicken Sauce. I always go back to good old Teryaki although I my family has enjoyed many of the others. I would love to try the ginger beef and my son was drooling over the orange chicken. Everything looks so good to be honest and note to self, dont enter food related contests around dinner time! 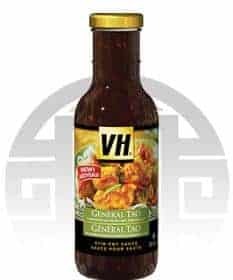 I would love to try General Tao stir fry sauce. jIve never tasted any!